Opened in April 2015, The Unit Fitness is a new and modern gym based in Huddersfield, West Yorkshire that provides an innovative and enthusiastic approach to health to its members. The gym is fitted with the latest functional fitness equipment that the industry has to offer and provides a broad range of fitness classes to suit the needs of all members and visitors. In addition The Unit Fitness are continuously looking at the latest developments in gym technology and fitness techniques in order to constantly improve the facilities and classes available to members. Whether you want to get fit, lose weight or build muscle the team at The Unit Fitness in Huddersfield are passionate about fitness and health and are always on hand to offer expert and helpful advice on how to lead a healthy lifestyle. The gym has a selection of free weights including dumbbells, barbells and also benches. 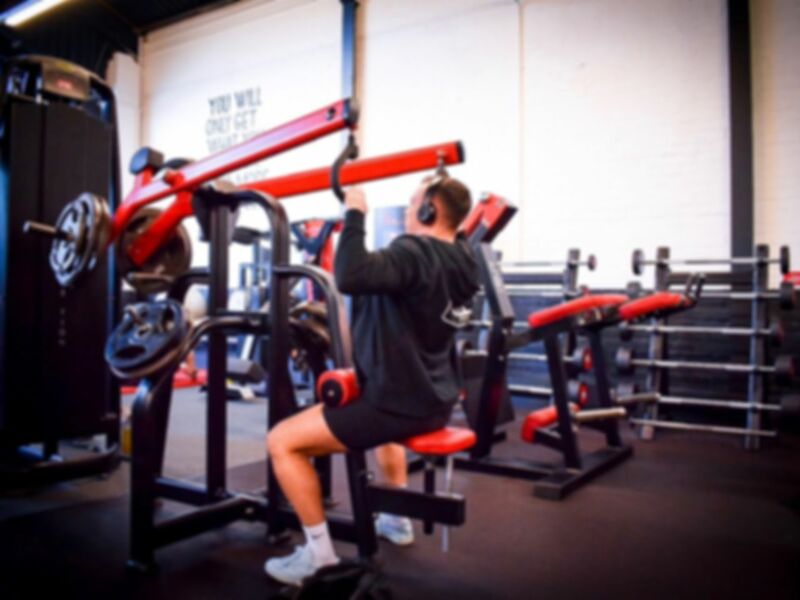 Alongside free weights there are a variety of resistance machines and also a custom rig fitted with a dip station and extra equipment such as Bulgarian bags, battle ropes, medicine balls, ab wheels, a punch bag and kettlebells. Both Men and Women's showers, changing rooms and lockers are available on site and parking outside the gym. Classes are available directly from the gym and there are also sunbed facilities available on site. Brilliant wanted somewhere to go to get back on track. Lovely friendly chap greeted me and showed me the place. Half seven in the evening was a good time to go! Friendly gym with great equipment! Nice gym. Good atmosphere. Good range of benches, free weights, barbells and cardio equipment. This gym is fab. The staff are super friendly all the time. The equipment is perfect for my needs, plenty of access (I do tend to go later though 7.30:8pm). Could do with it opening half hour later at night (until 9.30) and longer in a weekend (shuts at 2pm both days). Very well equipped gym for many different specks of fitness and training. Staff are friendly and gym is lovely and clean. Can't fault the place.